How would you deal with it if one of you got AIDS? "Rob: That’s like asking me what I would do if one of my pals got struck by lightning. Why do you say that? ... Would you hug him? Rob: Yes. Look, my best friends are my family. And if one of us got sick, we’d all be there for support." 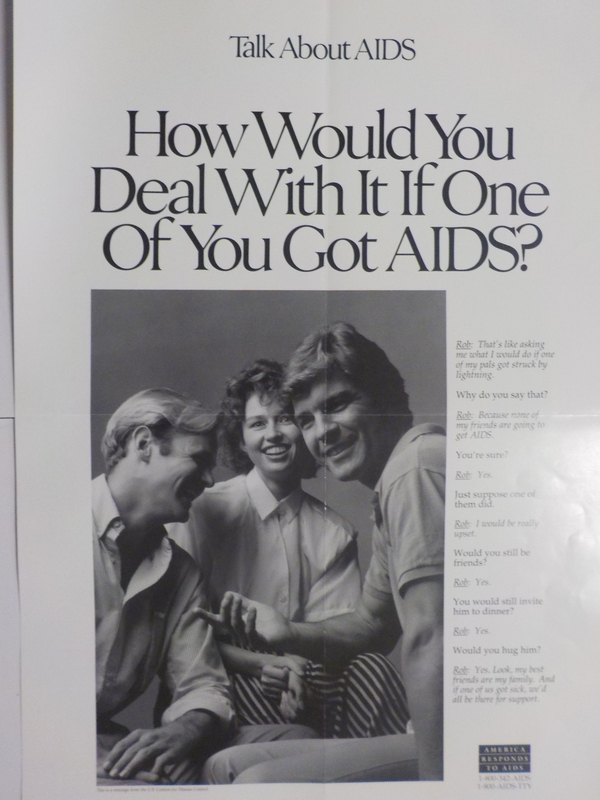 Two men and a woman are pictured in this poster, which descusses how to offer support to a friend who has AIDS.